Just hold the front page! 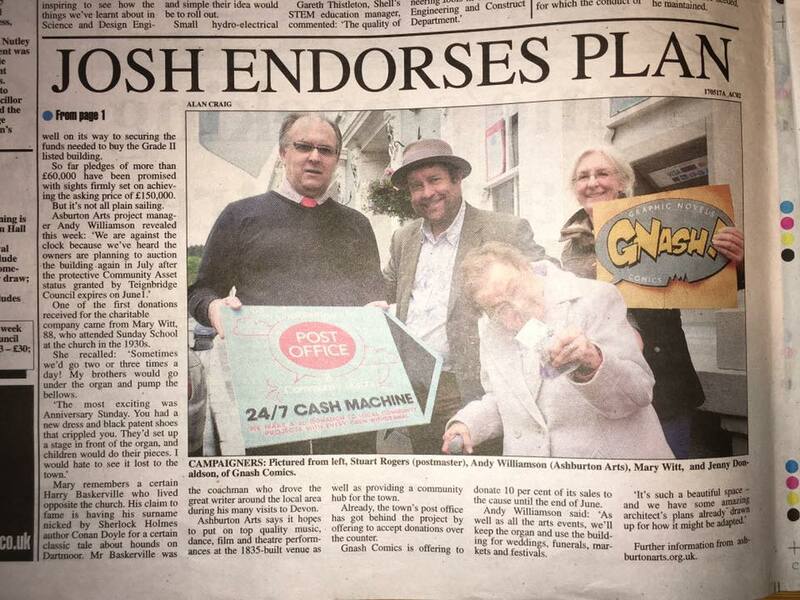 Gnash Comics of West Street has decided that it will donate 10% of all of its graphic novel and non-graphic book sales until the end of June to Ashburton Arts. And Ashburton Post Office has offered to accept donations for us, so cash and cheques can be left there any time. The Mid Devon Advertiser came along to Ashburton Post Office on Tuesday to witness 88 year-old Mary Witt present us with £20, to announce that the Post Office is now accepting donations for the project. Enormous thanks to Stuart and his team who are now happy to take cash or cheques (to Ashburton Arts). For more information about making donations or loans to the project, bank details, etc, send us an email. 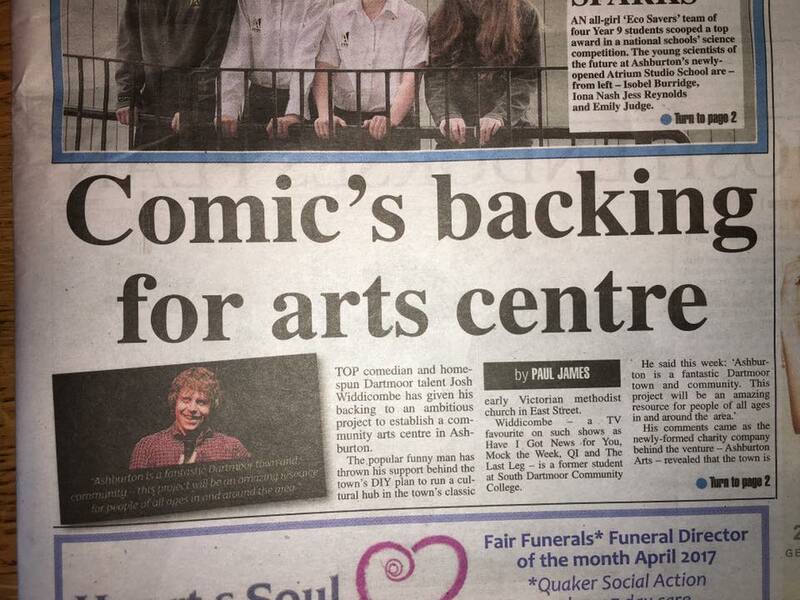 Front page of the Mid Devon Advertiser, 19 May.